So simple, I may have to indulge in some coconut oil ;) Thanks for posting! You really should Sammy. Your skin will love you for it! You know what. . . I have *all* of these ingredients. I think it’s DIY night, tonight ;) Thanks for the easy scrub! I’ve never made one before! I made this tonite and used it in my shower! I loved it!!! Yay! I’m so glad you liked it Michele! Great Idea – love the site. Thanks Kate! I hope you try it. I hope you get a chance to try it Laura! I bet this smells awesome. The mrs. wants to try this one for sure. Thanks for posting. Oh my goodness!! I need to try this body scrub. Love all of your post. And, gorgeous blog layout!!! This looks good enough to eat lol. I have body scrubs that I really need to make a habit of using more often. I go through phases where I forget about body scrubs but they make my skin look and feel so much better when I use them! Love it when I don’t have to go buy anything to make this. Pampering me. 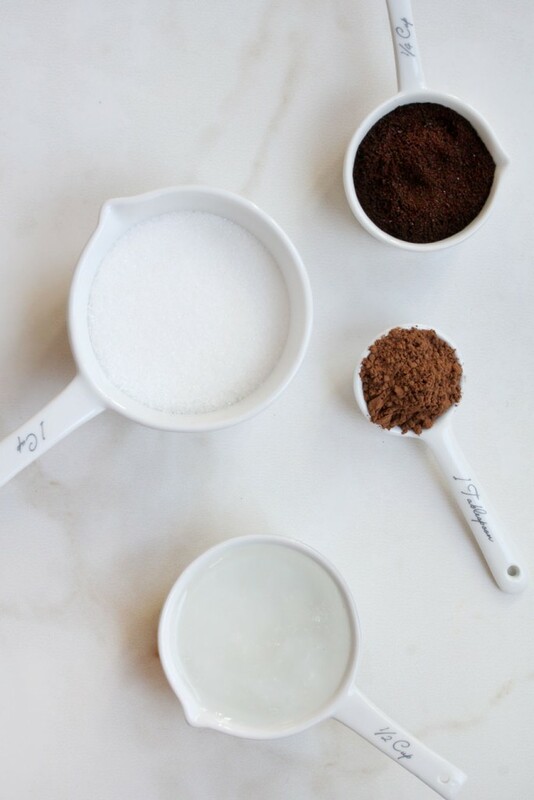 I always have all of these ingredients in my house, it makes it so easy! I have all of these ingredients in my cupboard!! I think I may have to go and make this…I bet it smells AMAZING! I love diy scrubs like yours! 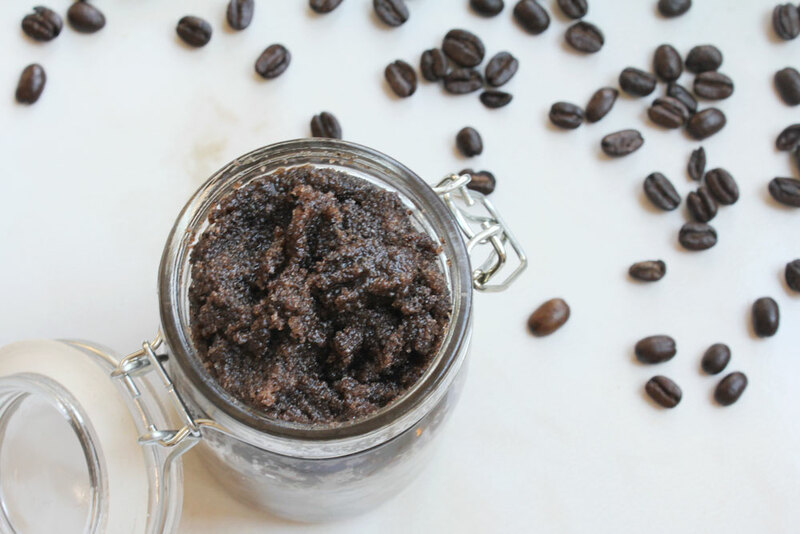 Coffee and cocoa scrubs are hands down my favorite of all them. I love the smell of the two of them together and the coffee is so invigorating. 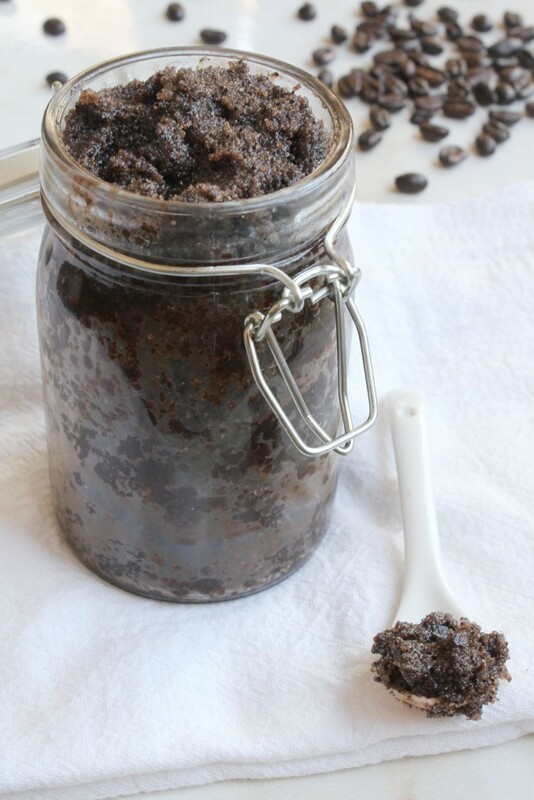 The caffeine really wakes your skin up and helps let more nutrients in. Thanks for sharing this recipe! So true Dannie! I would love them for the smell alone, but the skin benefits are amazing! Wow, wow, wow!!!! What a great post! Thank you for sharing! Soooo trying this! 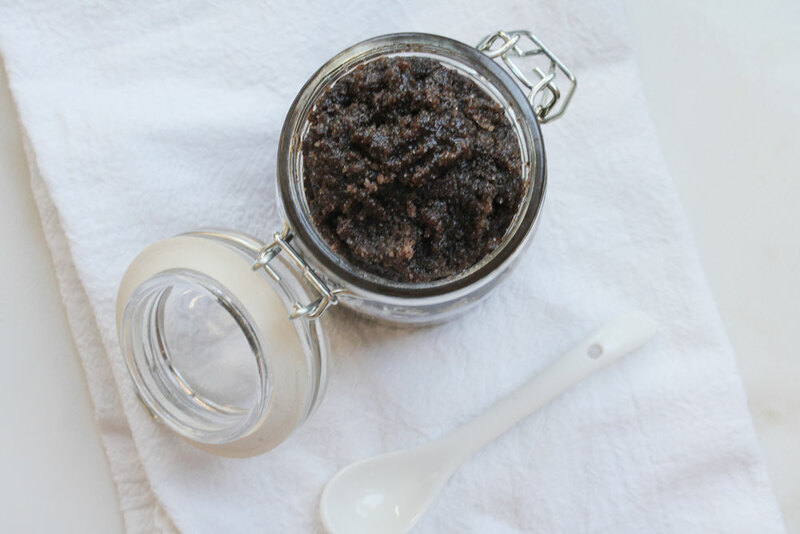 DIY body scrubs are so wonderful, especially to give as gifts! Sounds Great! How much does this recipe make? How long does it stay good for if its in a sealed jar? I’m thinking DIY Christmas presents :) Thank You!